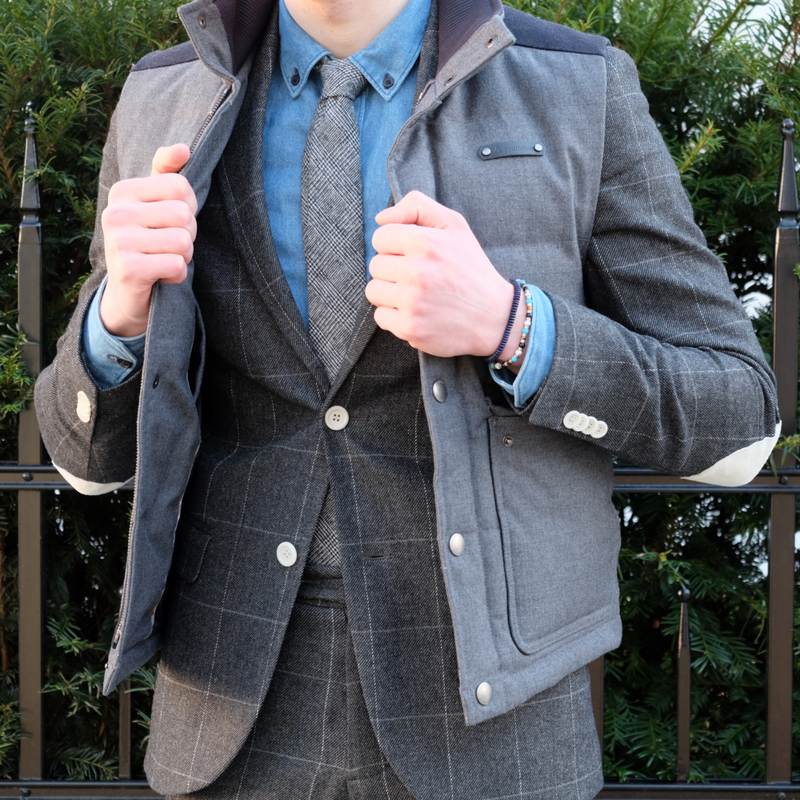 In the winter layering up is easy. All I have to do is choose one of my overcoats and grab a scarf and I’m instantly prepared to fight off the cold. However, when the spring comes it becomes more challenging. I know there are a variety of light weight spring jackets and coats out there such as the mac and cotton bomber, but today I will present to you another outwear garment that is far too often overlooked. 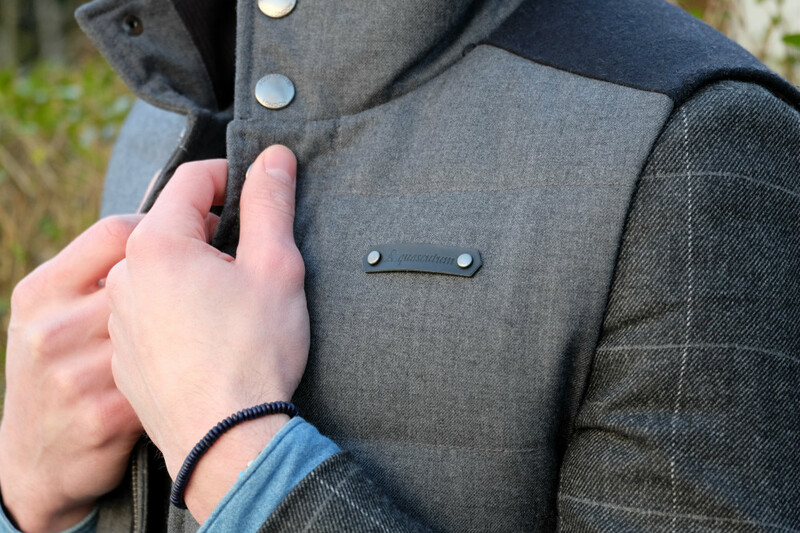 The down vest is a great alternative to heavier coats when the spring time comes. 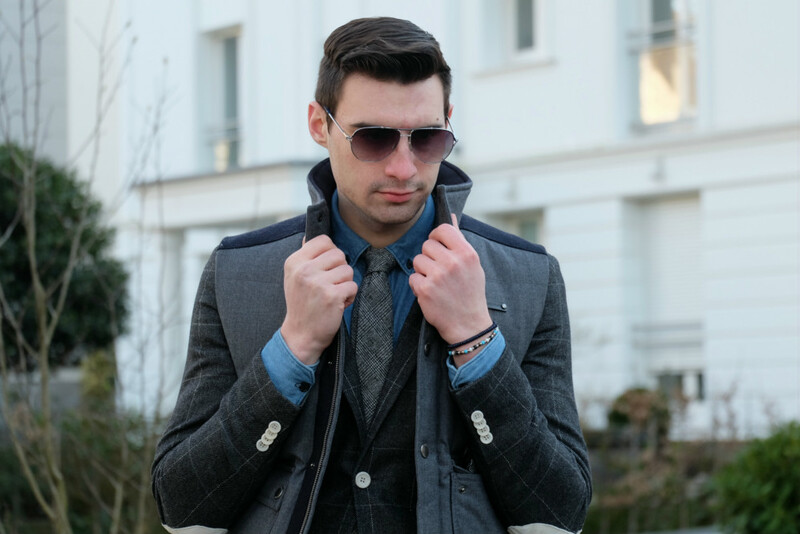 It, just like an overcoat, can easily be worn with a suit and tie, and it really gives off a young and modern vibe. 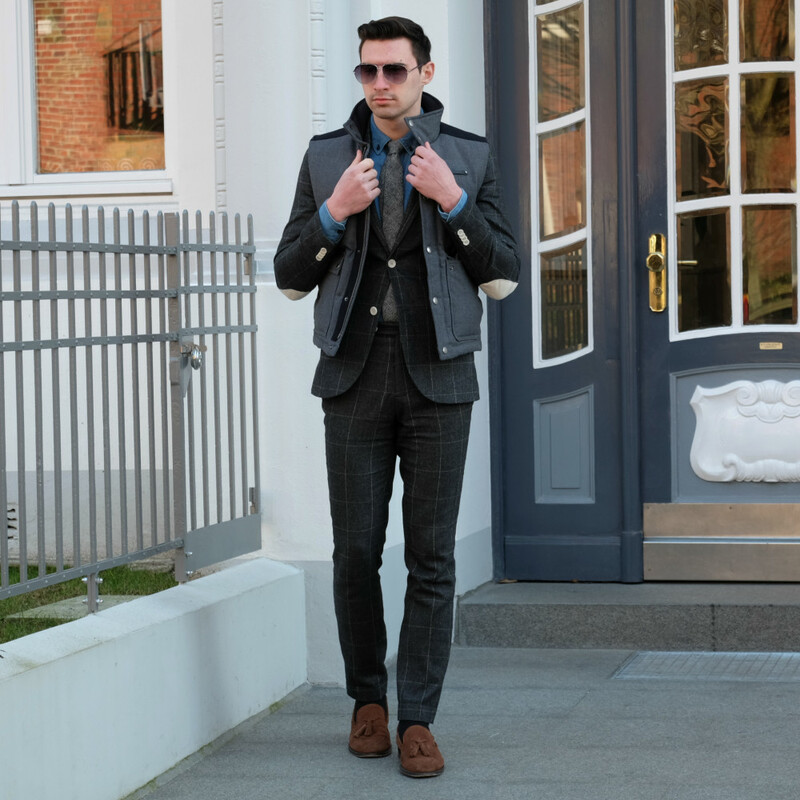 This particular one from Aquascutum is in a dark grey shade but there are plenty of bright and colorful versions out there that look just as great. 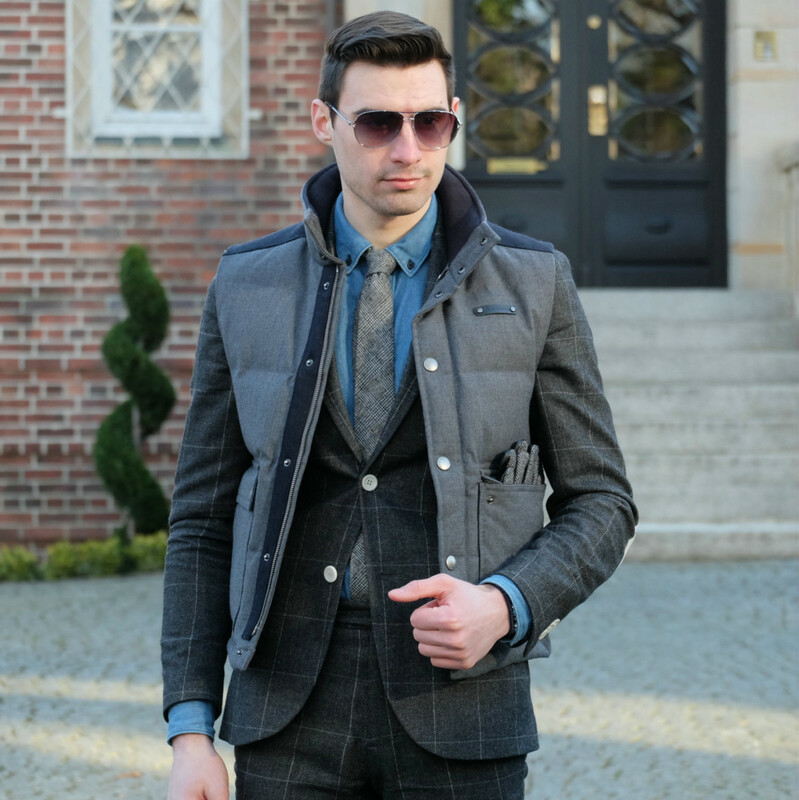 For the rest of the outfit I decided to stay within the grey family and wear a classic wool windowpane grey suit and accessorize with a grey glen check tie and grey gloves that I tucked away in my vest pocket to add a little detail to the outfit. What do you all think about this look? Love this look – very classy and yet has a nice touch of grunge. 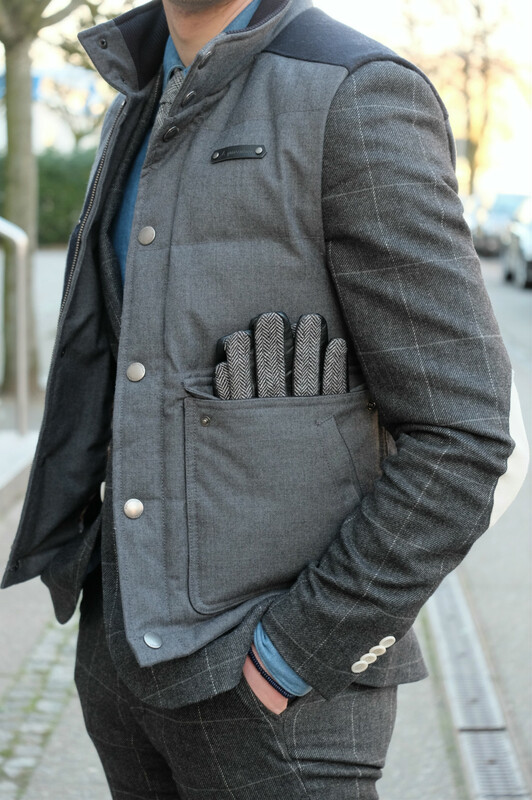 Vests are so cool for layering! Yours is perfect to style down the blazer! You look great Justin! You Have a great sense of Style Justin!!!! Perfect look!!! I really like this dark grey vest. It adds a bit of youthful/playful note to this look and yet it is very true to your sophisticated sense of style. 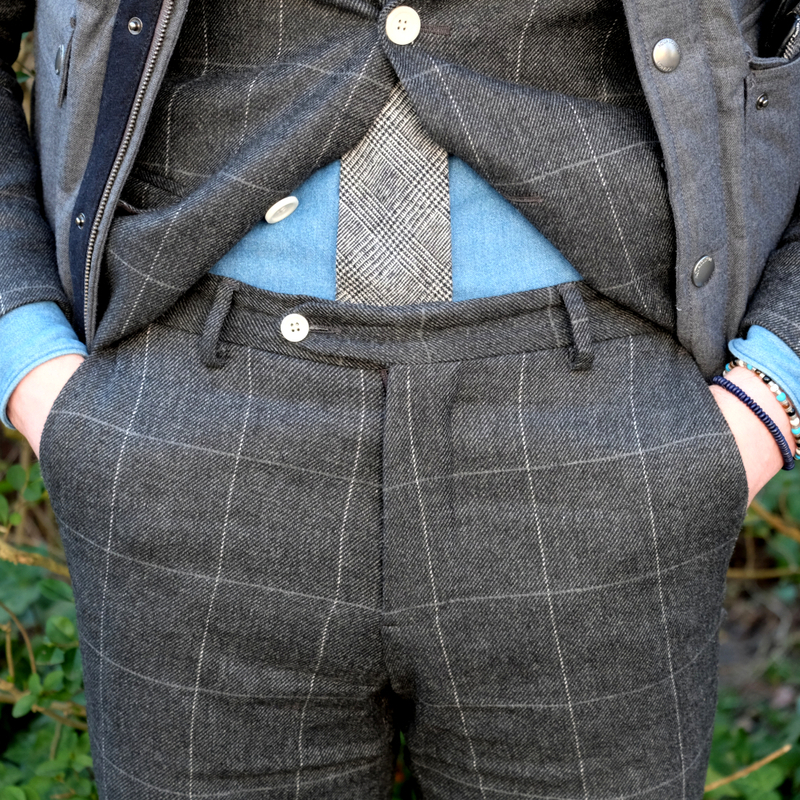 The lines on the suit and the layering really make this outfit superb. It stands out but it still very smart and elegant. I do agree completely about the vests. 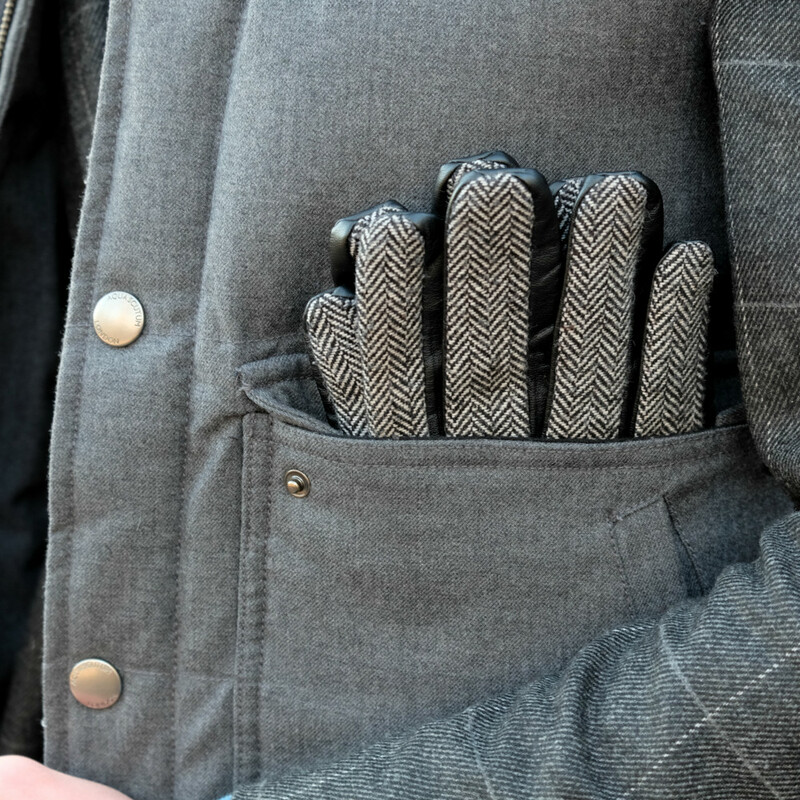 They're insanely practical and as you have proven, they can look quite sophisticated and professional. So elegant and chic style. The check suit looks so good on you! 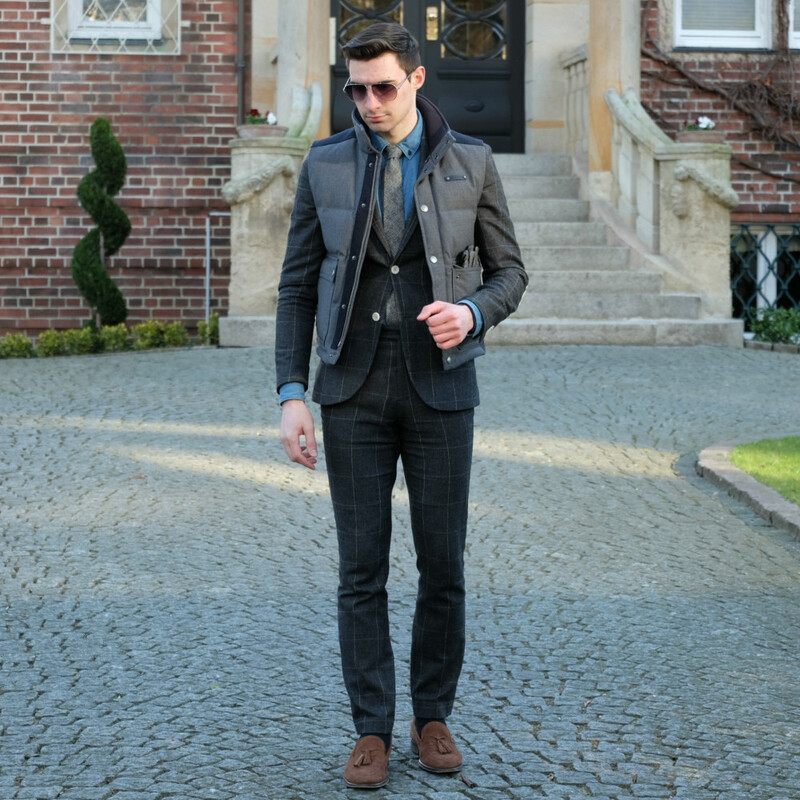 Very well styled! A very smart look, Justin! 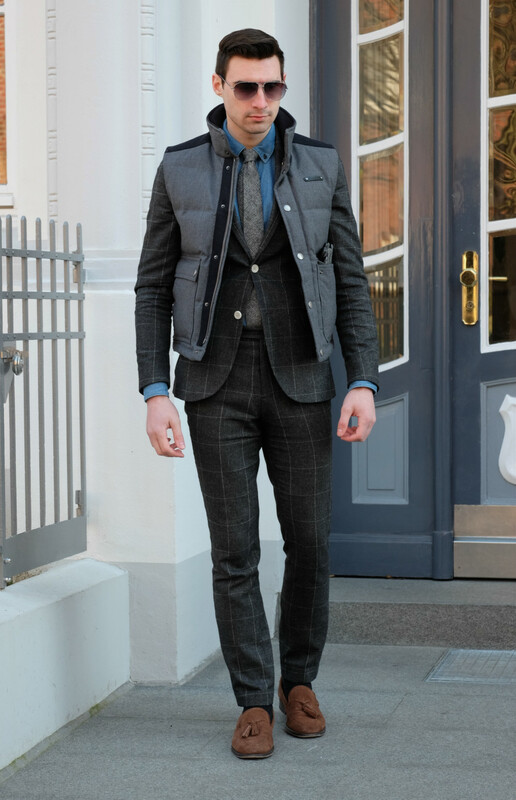 Awesome layering, love the vest - so preppy casual yet looks stylish paired with whole ensemble! Love the look of a dapper man! Very nice and stylish look, I love your suit! Loving the shirt, loving the glasses! Very stylis again! I love your suit! Looks perfect! very elegant outfit! I love your shoes!!! So elegant, We love your suit! hot sharp and stylish ! so in love ! Spring is the perfect time to wear outfits like this. Great layering! I love the vest with this! 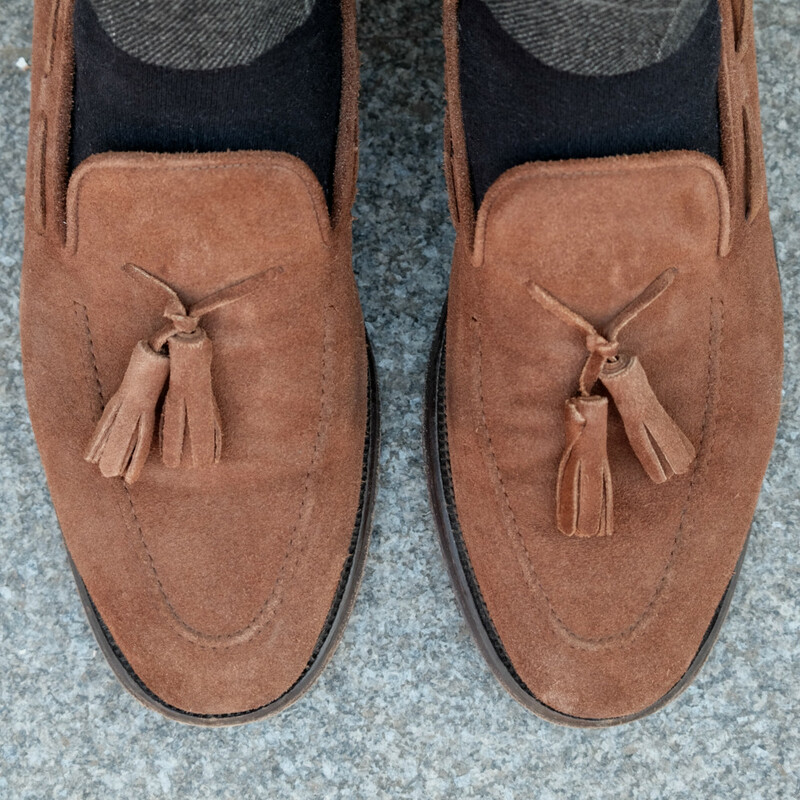 The shoes are awesome too. So chic!